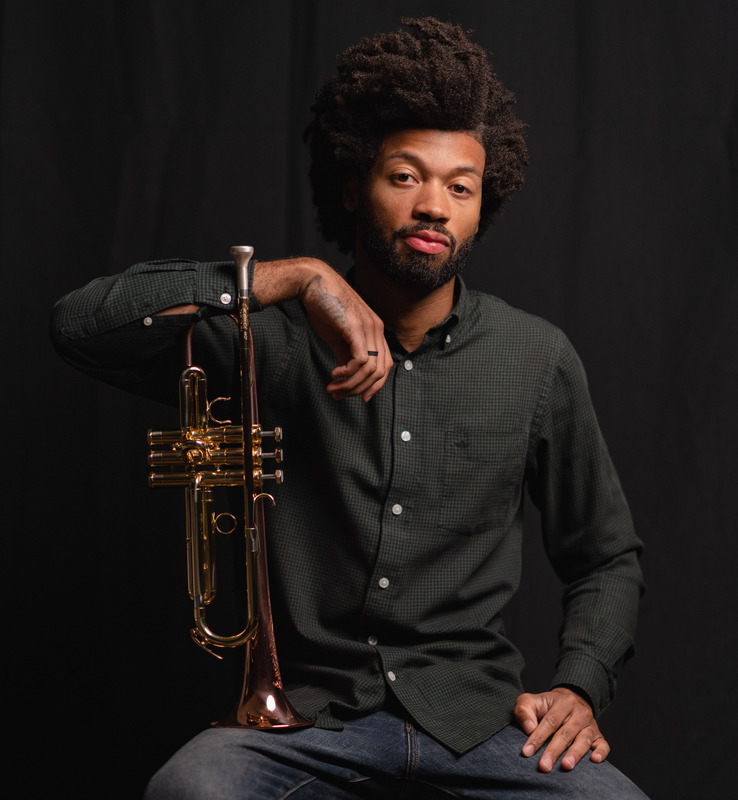 Sam Trump is a multi-instrumentalist/recording artist/producer from Houston, TX, and has been a student of music from first picking up the trumpet at age 7. Since moving to Chicago in 2009 to obtain his fine arts degree in music, he has become heavily involved in Chicago’s live music scene, and is widely known as a band leader, sideman, mentor, & curator. Wherever he is, Sam Trump is known for creating a vibe that is sophisticated & soulful. Chicago Music Awards nominee for “Best Male Vocalist” (2016). Deemed a “Renaissance Musician” by The Chicago Tribune (2016). Sam Trump is an original member of long-standing HipHop, Soul, Jazz band, Sidewalk Chalk, in which he plays trumpet. Their 4th album – AN ORCHID IS BORN (Jun ’17) is streaming now. Sam Trump’s debut album, PURPLE SKIES (Jan ’18) documents the early maturation of his solo artistry, covering topics of love & romance, family, inspiration, societal interdependence, & the Black American plight. All songs are produced by long-term collaborator & LA based producer, Calvin Valentine, whom also produced their previous release, LOVE NOTES (Feb ’17). In 2013 Sam Trump released his first self-produced EP – SAM TRUMP PLAYS THE UKE, which showcased 5 new songs that were written and composed on the ukulele. A few notable career performances would be for SheaMoisture, The Curtis Mayfield Foundation, & Chicago Urban League. Sam Trump has opened up for international acts such as Al Jarreau, Muhsinah, Jose James, Phonte, Kindred The Family Soul, The Wild Belle & The War and Treaty. Sam Trump is a frequent performer on the Chicago scene, teaches private lessons, and is Co-Founder of two growing Chicago organizations in the arts – ChiBrations & Production:COLORS.